For camping or a field trip, children's packable windbreakers are a must during changing weather. They are especially useful on family trips when something lightweight might need to be taken on and off several times in the course of a day's travel. Easy to wear and care for, they are something every active child should have. Windbreakers are most commonly pullovers to provide the most warmth, but they can also zip all the way up. An adult windbreaker will include a number of pockets and other conveniences, but children's packable windbreakers tend towards the simple design, with just two hand warmer pockets, elastic cuffs and a hood that sometimes has the option of zipping inside the neck. They are made of nylon, rendering them light and able to pack down very small. They usually don't have more than one layer so as to be more packable, meaning that while they are comfortable in windy weather, something else is needed if it's also very cold. The best places to shop for practical outdoor wear are shops that specialize in such items, or cater to travelers. You should note that go-to shops such as L.L. Bean and Lands End have had quality children's packable windbreakers in the past but are not currently carrying anything specifically designated as a windbreaker. However, you can find their brands on eBay. It is also worth keeping an eye out for when their spring or autumn selections come in, as a lightweight windbreaker is most likely to be available at these times. You can also search sites such as Back Country, which is an online outlet store specializing in outdoor wear. Their selection will vary regularly, but they will usually have something worth consideration and at a reasonable price. As you shop, you may find that most shops do not designate kids' jackets as "windbreakers," which can make shopping difficult. Additionally, travel sites tend not to carry children's clothes. However, a nylon pullover jacket will usually be exactly what you were looking for. 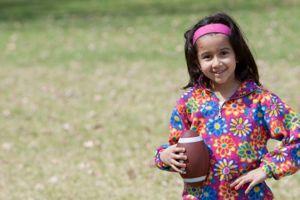 When you think of children's packable windbreakers, you probably aren't thinking of fleece. However, you should definitely consider the kids' Retro-X jacket at Patagonia. While their prices are higher, you are paying for excellent quality and an item that is responsibly made, will last well and will do exactly as it claims. The Retro-X is made of polyester, 78 percent of which is recycled, and has a nylon lining. It is windproof and keeps your child warm in cold, damp weather. While it doesn't pack down as small as a nylon jacket will, the durability of the polyester means it can be rolled up very tight and squished into a backpack with ease. The sleeves boast Y-joints, allowing for full outdoor mobility and the nylon on the collar and chest pocket add strength in just the areas that tend to fray first. Spandex binding on the cuffs and waist keep that wind from getting in and the hand warmer pockets are zippered with a moisture-wicking polyester mesh lining. The jacket zips up the front and the zipper pull is reflective, improving the safety aspect, while a wind flap behind the zipper keeps the jacket warm. There is a hand-me-down label inside so you can keep track of to whom the jacket belongs at any given time. These jackets last for years, so you can share it around a family or a neighborhood. When it finally does give out, it's recyclable through Patagonia's Common Threads Recycling Program. Most customers on the Patagonia site rave about its quality - it's a jacket worth searching for second-hand if you don't want to buy it new. For basic outerwear such as windbreakers, it's always ideal to shop second-hand, thus saving money and recycling clothing. Ebay and Craig's List are great places to start - you might be more likely to find what you're looking for there than in the shops!